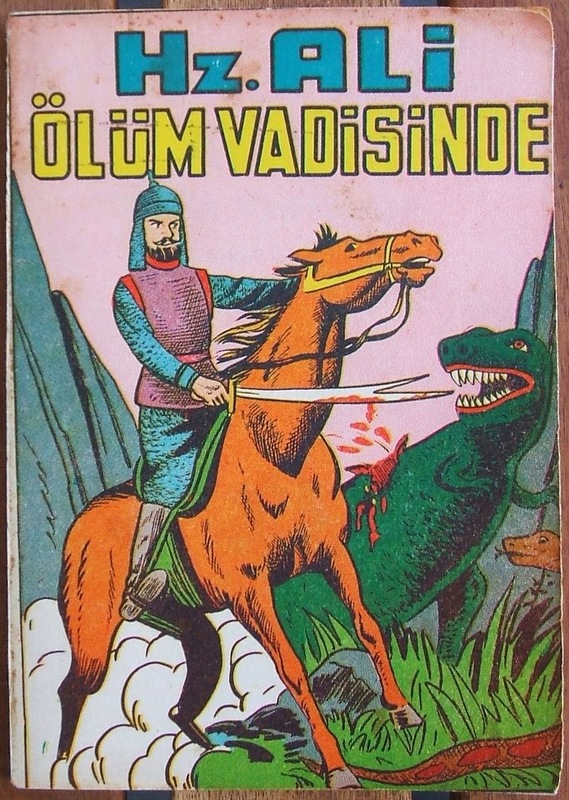 "Hazreti Ali in the Valley of Death"
While Christians continue to argue about evolution, Hazreti Ali confidently chops up dinosaurs with his trusty zulfiqar. This is in fact a book from the 80s retelling a story about Ali's confrontation with a dragon (this site of which is apparently a tourist attraction in Afghanistan). Suffice it to say this semester has been a busy one for me, which means the next few weeks will probably feature more dinosaurs and fewer lengthy discussions of maps. Fortunately we've got some excellent guest posts coming up as well and some weird maps we'll be calling on readers to try to explain.